From 2005 to 2009, Koen van Dam worked as a PhD researcher at the Delft University of Technology under the supervision of prof. dr. ir. M.P.C. Weijnen and dr. ir. Z. Lukszo. On the 30th of October 2009 he successfully defended his PhD thesis "Capturing socio-technical systems with agent-based modelling". What is a suitable modelling approach for socio-technical systems? The answer to this question is of great importance to decision makers in large scale interconnected network systems. The behaviour of these systems is determined by many actors, situated in a dynamic, multi-actor, multi-objective and multi-level jungle. Models to support such an actor should be able to capture both the physical and social reality of the system, their interactions with one another and the external dynamic environment. Moreover, they must allow users to experiment with changes in both the physical and the social network configuration. 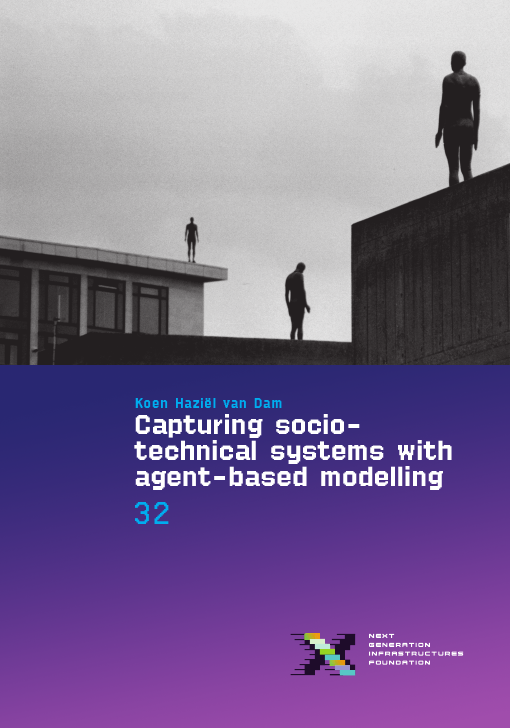 To deal with these challenges a generic agent-based modelling framework for socio-technical systems is developed in this thesis. The cornerstone of the framework is a shared language formalised in an ontology, which forms the interface needed to bring different elements of the system (both social and physical) together, to interconnect different models and ensure interoperability. The re-usability of building blocks helps modellers build new models more efficiently. The models developed with the new framework are shown to offer valuable decision support in case studies of an oil refinery supply chain and an intermodal freight hub. A longer (6 page) summary of the thesis is available in English (pdf) and in Dutch (pdf). The thesis is released under a Creative Commons license and is available as digital download (pdf). If you would like to request a free hard-copy of the thesis, please contact me. I would appreciate it if you could give a short motivation for your request as well as your postal address.